Recently, I had a customer ask "How do I build filters using Maven?". This is obviously a person after my own heart. I had spent a lot of time last year working with Maven, in particular for the OES/Spring/JBOSS/AOP integration I did. 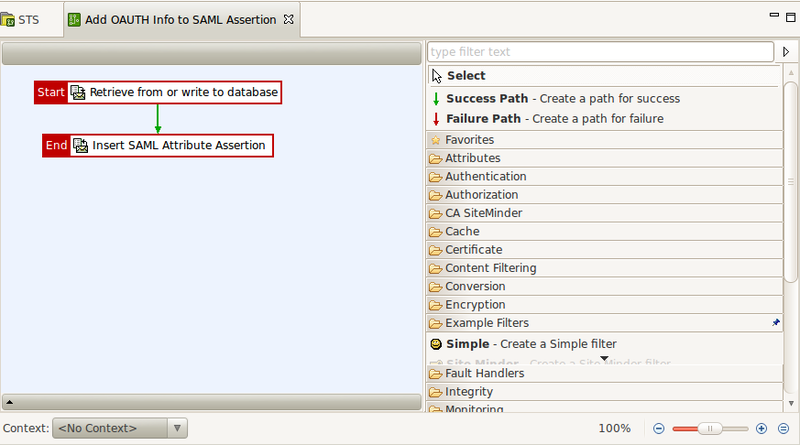 So, these are the steps for building the Example Filter using Maven. This for me is always the trickiest part. For things that are "non-Maven" you need to get them loaded as dependencies - but how? 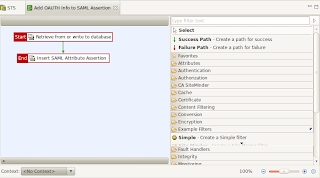 In order to get the XML Gateway APIs loaded into the local repository, you need to use the install:install-file goal to load some of the jars. As I continue to invest in this solution, look for other more elegant approaches, but for now this is what I'm going with. 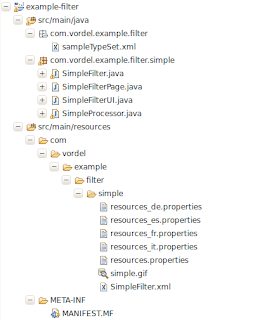 I then moved some files from the original example to conform with the Maven structure. I moved the simple.gif and resource files to their proper Maven place under resources. I also moved the MANIFEST.MF file to src/main/resources/META-INF so it is included in the jar. You should be able to build the project. All that's left to do is copy the jar to the /opt/vordel/vordelgateway/ext/lib and the /opt/policystudio/plugins directories, and your plugin should be good to go. Josh Bregman has over 15 years experience architecting Java and JEE based security and identity management solutions. Josh is the Chief Solutions Architect at Vordel where he leads up the North American Pre-Sales team. Prior to Vordel, Josh worked for three years at Oracle as a Consulting Solutions Architect at where he advised Oracle and its key customers on technology, architecture, and implementation best practices. Prior to joining Oracle, Josh worked at BEA Systems for 3 years as the Enterprise Security Specialist for the Americas. In this role, Josh worked with customers to develop security solutions for WebLogic Server and related BEA technologies. Before joining BEA, Josh worked at Netegrity/CA for 5 years where he designed and developed a number of Java based security products, including IdentityMinder and SiteMinder Application Server Agents for BEA WebLogic Server and IBM WebSphere.Josh has also held engineering positions at GTE/Verizon Labs and IBM Global Services. Josh received a B.A. in Mathematics from the University of Rochester. Josh and had spoken at a number of industry conferences including the RSA Security Conference, BEA World and Oracle Open World. Josh was a contributing author to Wiley's Professional Oracle WebLogic Server (2009). He is a lead contributors and architect of the OpenAz open-source project - an initiative to standardize and promote the adoption of externalized authorization. He is also the author of the Vordel XML Gateway blog at http://xmlgateway.blogspot.com.